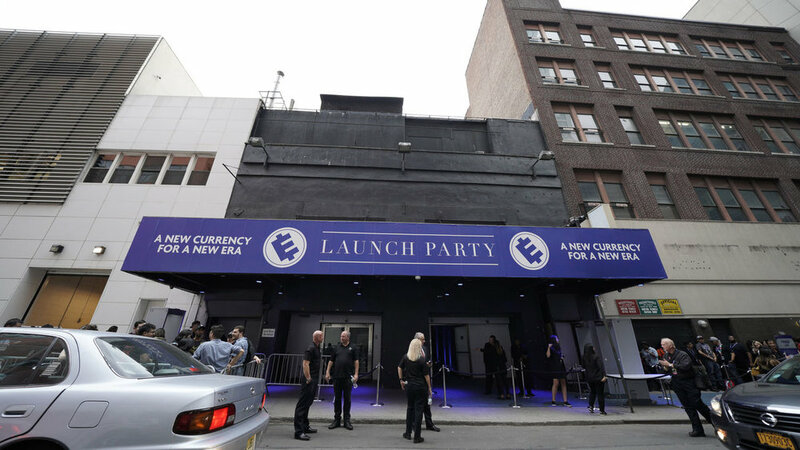 For the launch of the cryptocurrency ECoin, Gate Reality was part of a huge NBC event at Terminal 5 in New York to live stream the premiere for the hit series Mr. Robot. We utilized the Insta 360° Pro camera and the live stream had over 60K views. 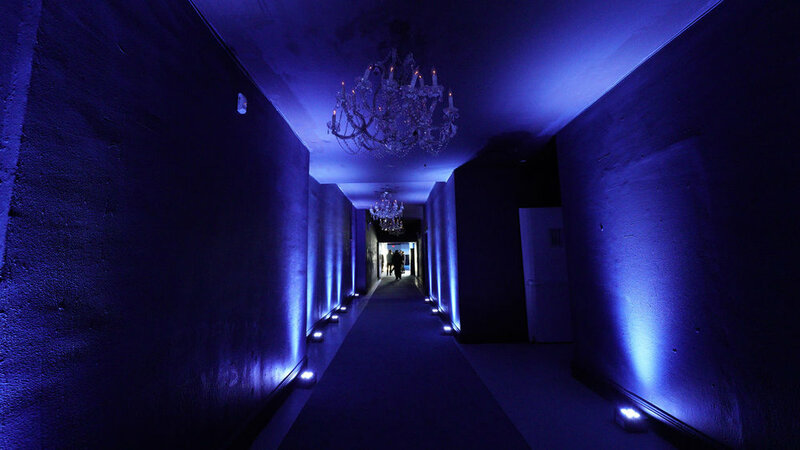 A few hundred fans and New York Comic Con attendees were treated to a night of champagne, canapés, and live music. 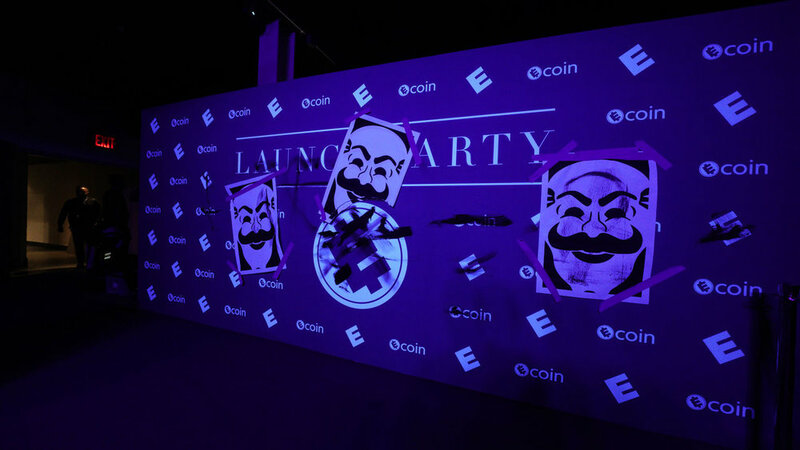 The entire night was staged as a luxurious gala, thrown in celebration of E Corp's revolutionary new cryptocurrency platform and bitcoin competitor, ECoin. 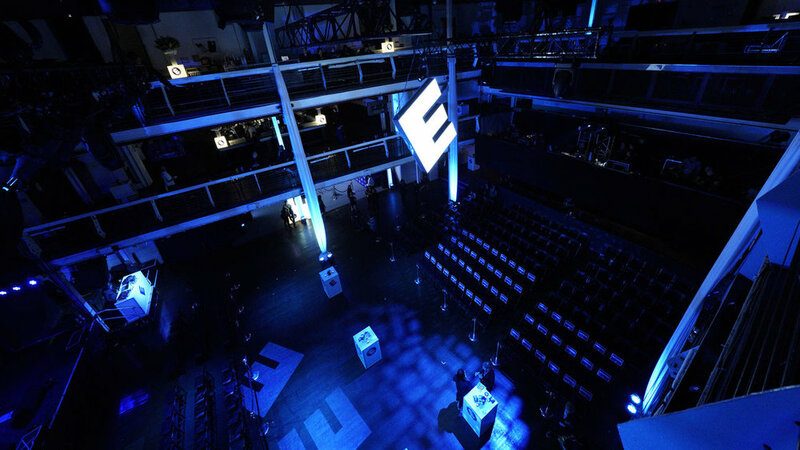 Terminal 5 was transformed the outside in with lush blue velvet curtains and unsettling, focus-group floral arrangements splattered with the E Corp logo. Everyone who was working that night was a hired actor, ready to take attendees away for "Secret Missions" at any moment. For the true "live" experience, Michael Cristofer gave a speech as his character, Price. The lights flickered and suddenly the whole venue changed as everything was vandalized by Mr. 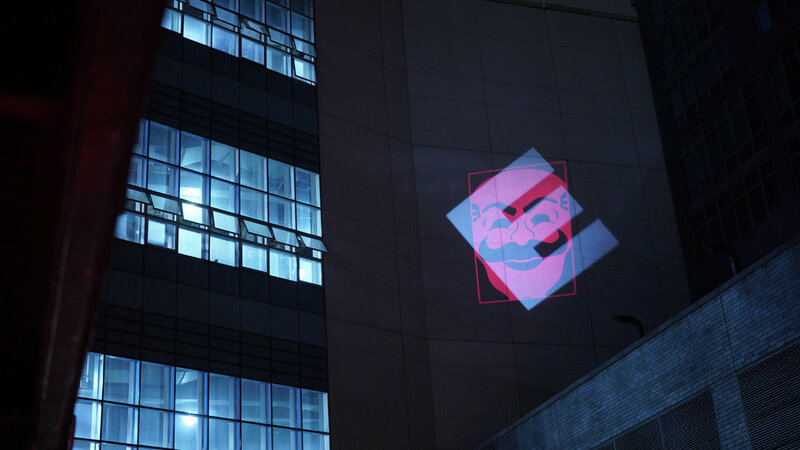 Robot's vigilante crew, fsociety. 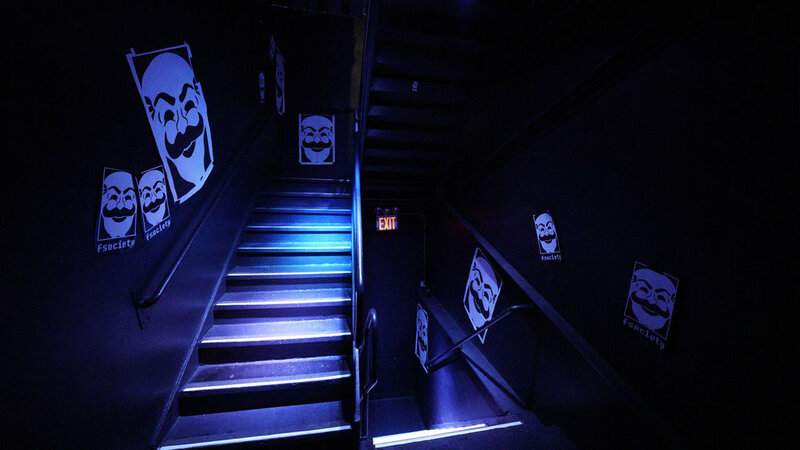 They showed up in masks and swarmed the venue before the audience was treated to the premiere of Season 3. We utilized the Insta 360° Pro to live stream in 4K. 2D images were overlaid to allow audience to stay immersed in 360° while interviews and specific activations were in progress. We love exciting immersive experiences like this and we thank NBC for letting us be a part of the 360° Live Stream team so that people at home could enjoy the experience as well! Photos courtesy of USA Network and Gate Reality. Read more on the event: Click Here!